As a kid, I used to be very talented at distracting others while still managing to get my own work done. Now, it seems to be the other way around. While I was trying to write my paper at the library, I was constantly distracted by the bright sunshine, the singing children, the walking librarians, and the bright, colourful dictionaries. Not only was I getting more words down on my Facebook news feed than my Word document, but I somehow also managed to fall asleep in my chair. By the time I actually managed to start working on the first paragraph of my paper, I suddenly felt hungry, which meant it was time for some more sushi. 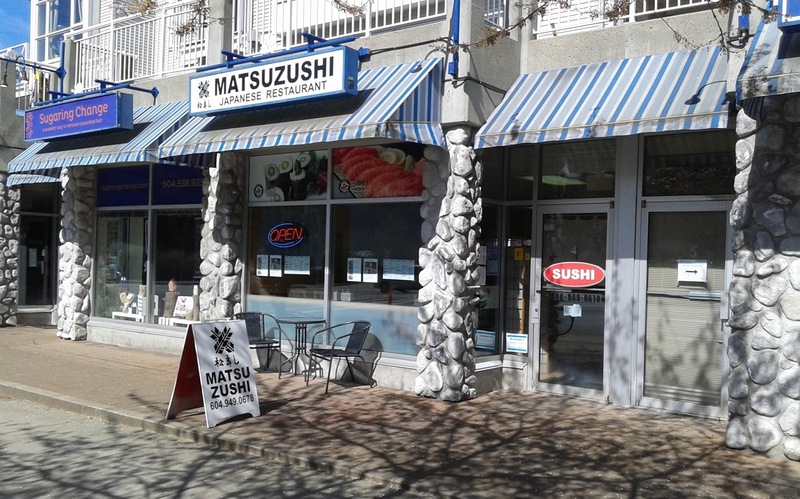 Matsuzushi is a new authentic Japanese restaurant that replaces the former Fresh Combo House. 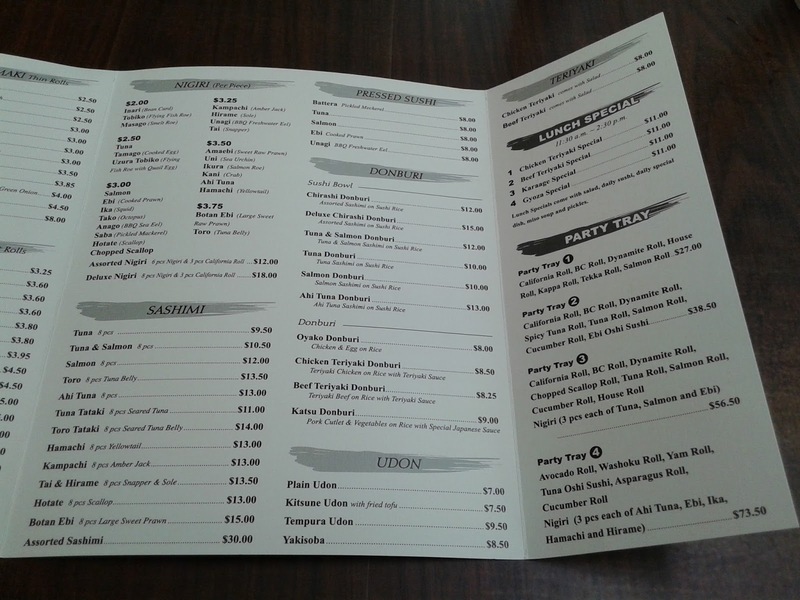 The decor inside is very simple, and it feels almost like a food mart rather than a restaurant. It appears to be a husband-and-wife operation, with the husband making the sushi and the wife preparing the cooked food. 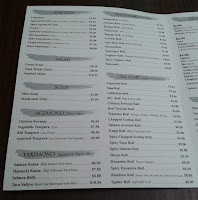 The menu focuses on traditional dishes and contains very few special rolls. 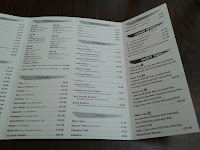 Since I could not find the menu online to browse beforehand, I once again took forever to order. In fact, I took so long that diners from another table came up to me and kindly offered to help me order in case I couldn't understand the menu. Nope, that was not the issue. I just needed time to formulate and design my perfectly balanced "nutritious" lunch. The diners who offered to help me suggested that I get one of the lunch specials, so I did. 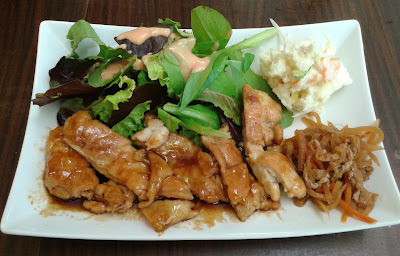 The Chicken Teriyaki Lunch Special started off with a solid version of Miso Soup. It was garnished with seaweed, green onion, and tofu, and the balance of ingredients was just right. 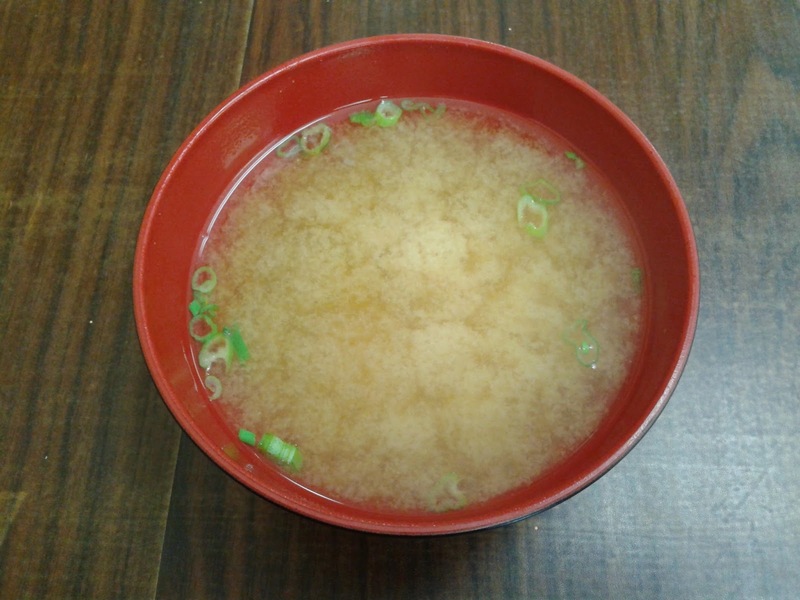 It was not too salty, but the miso paste was rich in flavour. 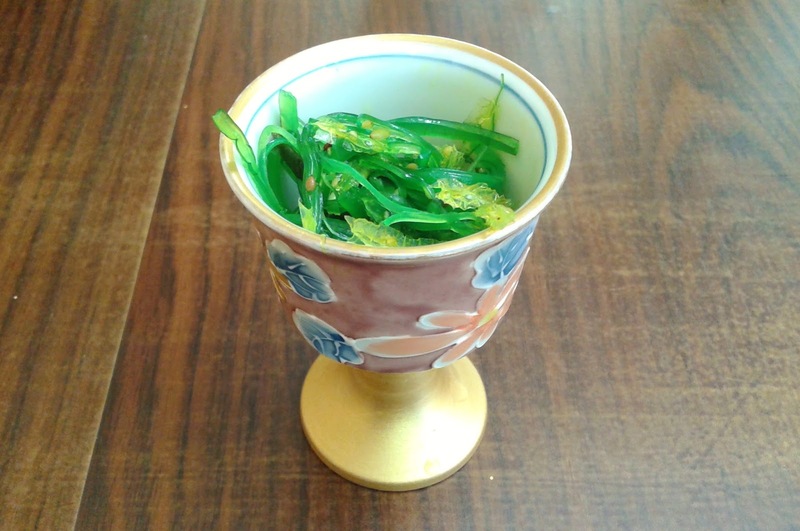 Next came a small serving of Wakame in a miniature goblet. It was served a little warmer than expected, but it was adequately seasoned and easy to chew. It had a prominent rice vinegar flavour to it. The California Roll was rather interesting as there was just as much avocado as crab meat (or in the case of the piece to the right, more avocado than crab meat). I found it quite rice-heavy, but the creamy flavour of the crab meat was strong enough to balance out the overage of rice. The sushi rice in the nigiri was slightly on the drier side and was not remarkable. 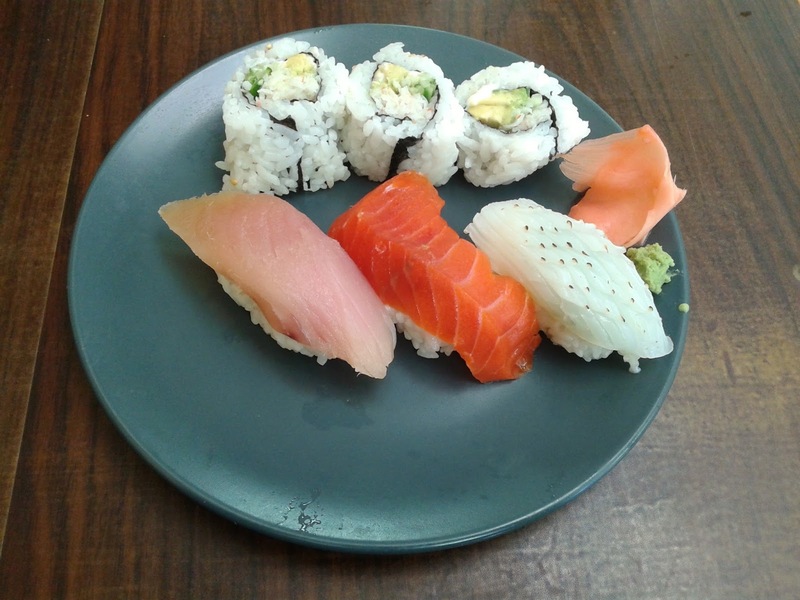 However, both the tuna and sockeye salmon were fresh and came with generous cuts. The chef also seared the Ika Nigiri for me, but the seared flavour didn't really come through, partly due to the overdose of wasabi underneath. After the lunch special, I tried some of their very expensive nigiri. 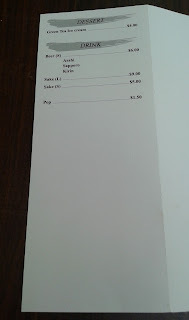 Yes, the three pieces on the left cost more than $10. 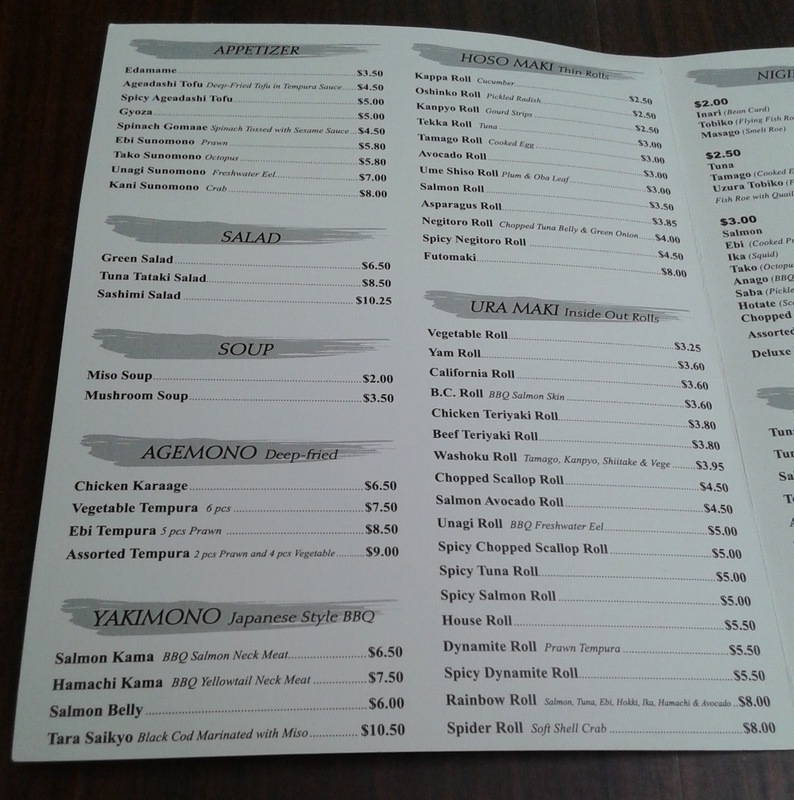 I also went for some of their pressed sushi since I wasn't particularly intrigued by any of the rolls on the menu. I tried to ask the sushi chef whether the pressed sushi was seared, but apparently, the word "seared" wasn't part of his vocabulary. Well, I did the wisest thing possible, which was to just order it and pray to my lucky stars for the best. The Hirame Nigiri tasted fresh, but there was too much wasabi inside, which overpowered the fish. The Botan Ebi Nigiri was sweet and tasty with a soft, creamy texture. 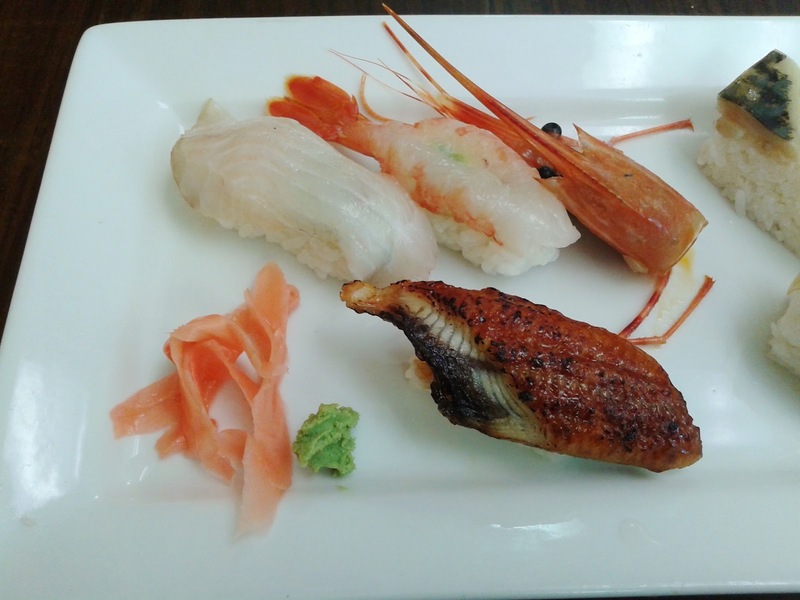 The best of the nigiri was the Unagi Nigiri, where the unagi was very soft and had a smoky, sweet flavour. The sushi rice was also noticeably better in this particular piece. Overall, the nigiri tasted fine, but not worth more than $3 per piece in my opinion, even though I recognize that these are typically expensive types of nigiri. Whereas six pieces of saba nigiri would have cost me $18, I could get six pieces of saba battera (box-shaped sushi) for only $8. 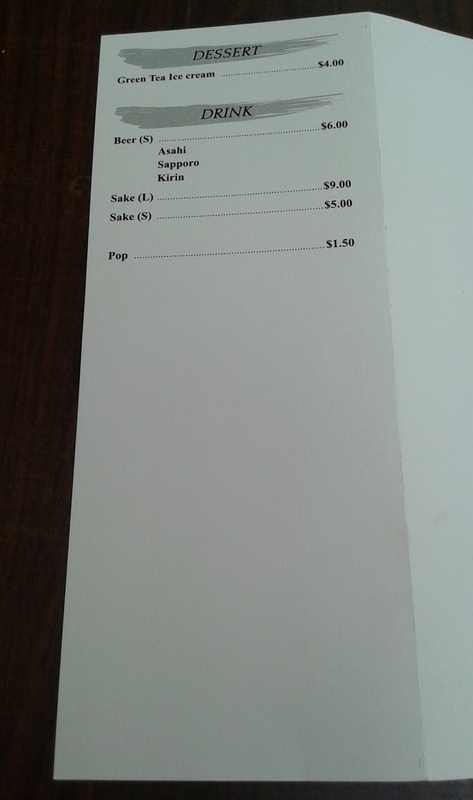 The pricing system is surely quite strange. 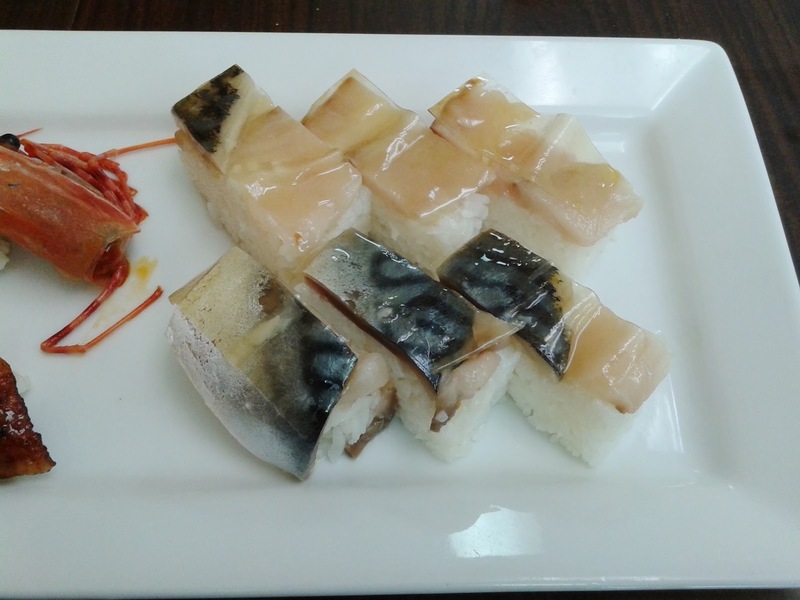 The saba was not seared and sliced thinly, but it was not too salty. Texture-wise, the saba had a bit of an odd snap in some pieces. However, I liked how the chef used transparent kombu (kelp) to enhance the flavour of the saba, and as a result, this could be consumed with minimal or no soy sauce. The service was very friendly and welcoming. Although the food here isn't top notch, it is above average and generally prepared carefully. 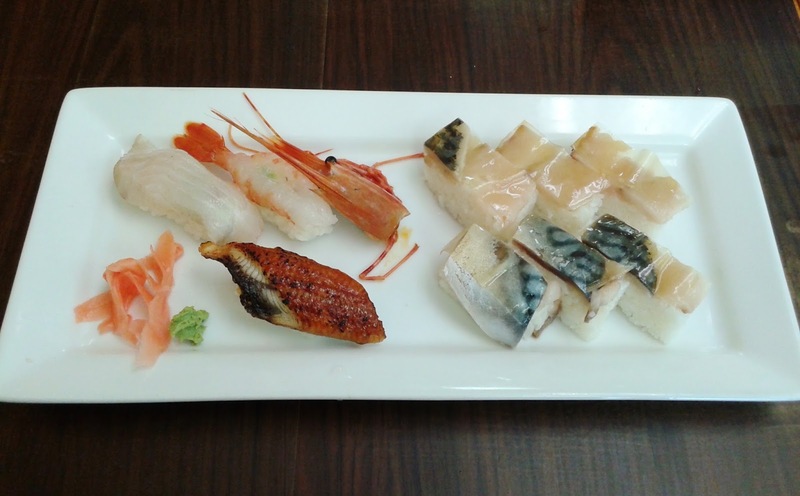 The prices are quite reasonable with the exception of the nigiri that is sold by the piece. 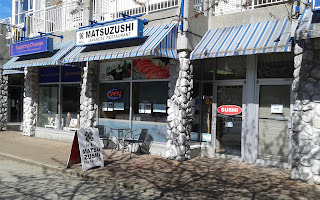 Overall, I enjoyed my visit, and with my power to focus restored by sushi, I managed to whip up a few decent-sounding paragraphs for my paper afterward.